Price manipulations have been a major concern in cryptocurrency markets and have adversely affected the growth of the sector as well as regulatory acceptance of cryptos. 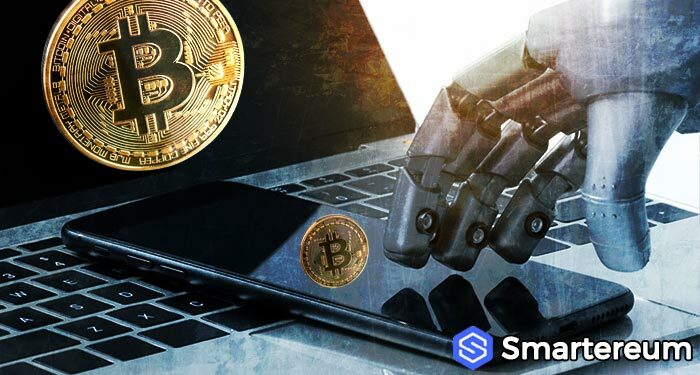 The Wall Street Journal in an article on Tuesday, October 2, echoed this concern claiming that specialized automated robots are responsible for bitcoin price manipulations. The media outlet sampled the opinions of notable players in the cryptocurrency exchanges. One of the participants, Andy Bromberg who is the co-founder of CoinList affirmed that the bots are rampant in crypto marketplaces. Cryptocurrency enthusiasts are divided over crypto price manipulations. On one side of the divide is Kjetil Eilersten, a crypto trader who developed a so-called “cryptocurrency market manipulation tool” for small traders. He told WSJ that he does not support the regulation cryptocurrency markets, rather suggested that every trader big, or small should be allowed to manipulate the market, hence his tool. According to him, if everyone manipulates, no one manipulates. On the other side, several traders and enthusiasts have spoken against manipulations which they say have hindered the adoption of cryptocurrency. In regulated markets, spoofing and similar market manipulation tricks are illegal. The Securities and Exchange Commission (SEC) has also pointed to the widespread manipulation in the markets as a reason for rejecting crypto-based Exchange Traded Funds (ETFs). To tackle these rampant bots in the “wild west of crypto”, Stefan Qin, the managing partner at Virgil Capital says it uses its own bots to attack malicious bots on several cryptocurrency exchanges. Its bots are designed to detect unusual and potentially illegal activities on these platforms and prevent losses. He explained how a malicious bot had manipulated certain trades causing the cryptocurrency hedge fund avoidable losses. The bot posted orders to sell ETH at a lower rate and would cancel the order just before the fund completed the purchase, an act known as spoofing. This creates a false impression of demand or supply of the targeted cryptocurrency which in turn influences the price on exchanges. Other manipulations strategies used include “pump and dump” groups and “wash trades” in which exchanges can execute buy and sell orders to themselves, giving the illusion of activity. CoinMarketCap recently redesigned its platform to reflect more accurate transaction volumes.